This was a question from one of our Facebook followers. It’s a pretty big topic to say the least. 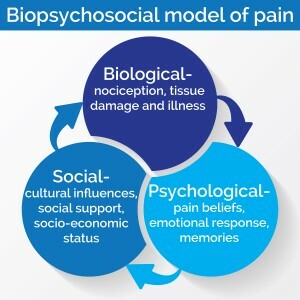 What we experience as pain is an output from our brain in relation to the input it receives from the tissues of the body and our experiences such as previous injury to ourselves or others we know, what we read about it or see on TV, what else is happening in our lives at the time. 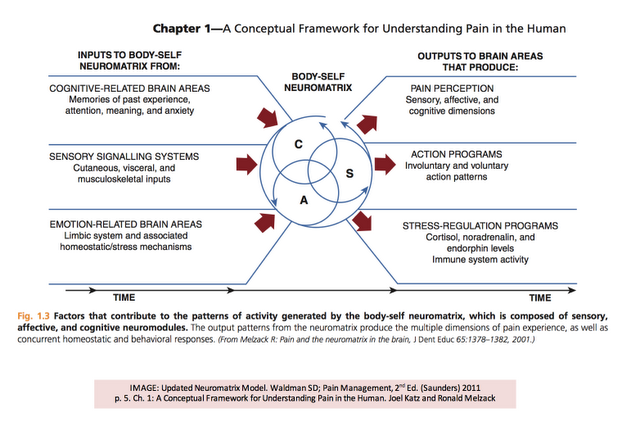 Interestingly the International Association for the Study of Pain describes pain itself as an experience. All pain comes from our brain. Now this does not mean that your pain is all in your head rather the pain that you experience is 100% an output from our brain in response to a number of different inputs. The first input you receive is from the area that is perceived to have been damaged. Here sensory nerves, nocicpetors to give them their correct name, in the area send messages to the brain about the problem and the intensity of the message is in direct proportion to the injury itself, so a scratch will result in a less intense signal than a deep cut etc (I’m not quite sure where stubbing your little toe fits into this though). Once these signals reaches the brain then other inputs come into play and things get a lot more complicated and a huge range of factors then have an impact on how we perceive the message and respond to it. 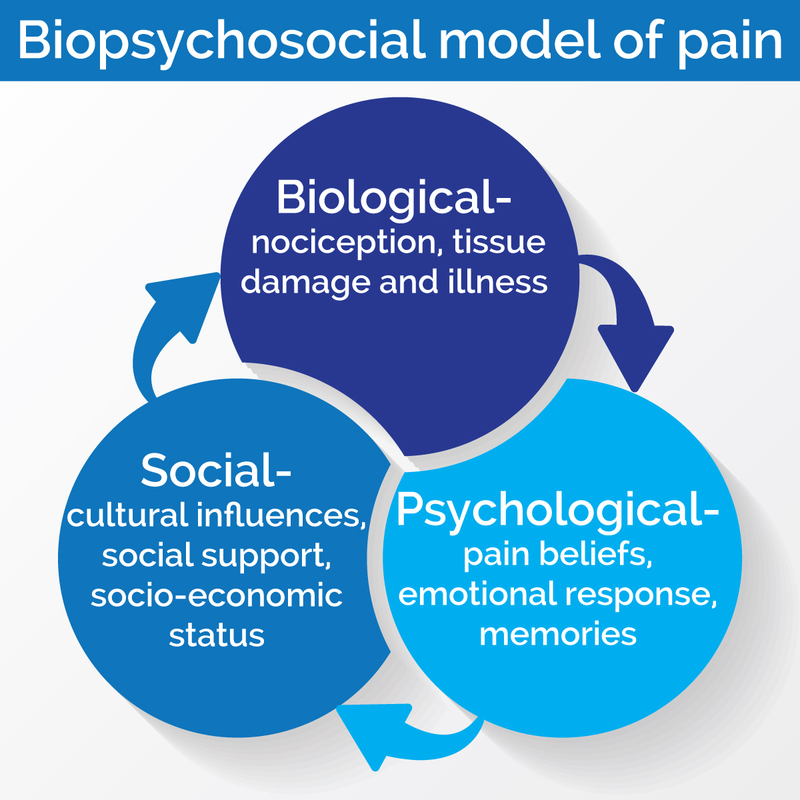 Everything from our emotional state, stress has a huge impact on pain perception. How society views pain is another big factor, when you read about back pain it is the worst thing in the world and will wreck your life given some of the things you can read yet areas of the body aren’t treated in the same manner. If we think about how the term “slipped disc” is banded about with regards to back pain and that having a “slipped disc” is seriously bad news it is possible to see how we can over react to lower back pain. So, as you can see, the split between what is tissue damage and what is “your brain being careful” isn’t a simple one. If you have injured an area previously the chances are that you will feel a bit more pain in response to any further injury to the area. 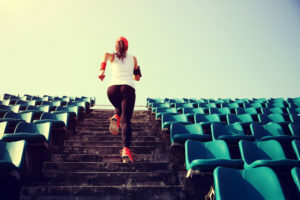 This happens as the memory of the injury is there, the pathways in the brain that were created as a result of the injury are still there, though they are likely to be somewhat faded. You recognise the messages coming in and can have a strong emotional response, especially if the previous injury was a serious one. 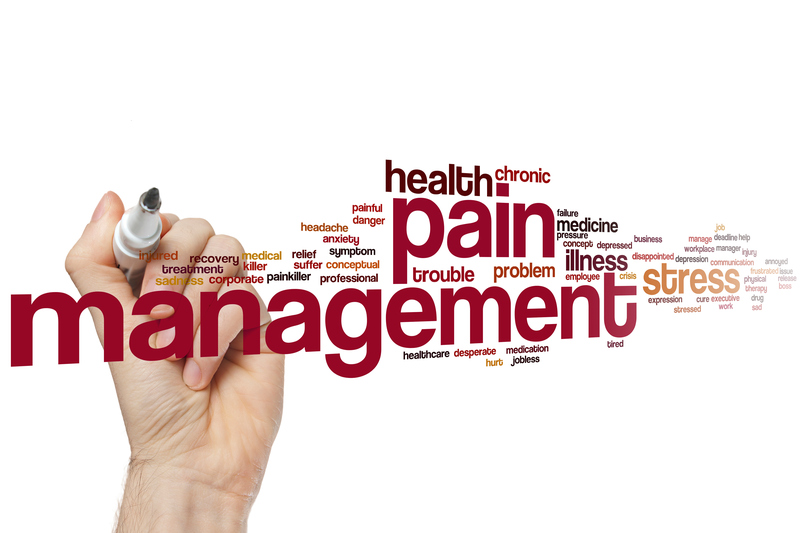 As a result it becomes “easier” to send out the pain message. In this type of scenario it can be difficult to tell what is “real damage” and what is an reaction as a result of being sensitive to any perceived damage in the area no matter how severe. It then comes down to trying to be rational about what may have happened, very difficult when we are talking about pain. Was there a sudden sharp pain? Did it come on gradually? What were you doing to cause it? Have you inured the area before? Sometimes taking this approach you can recognise that there might not really be too much wrong. At this point it is worth exploring gentle movement to see if things are truly limited and provocative. Even when these are simply gently exploring what can and can’t be done is often the best medicine as you begin the process of reassuring yourself that there is nothing much wrong, assuming that this is the case. 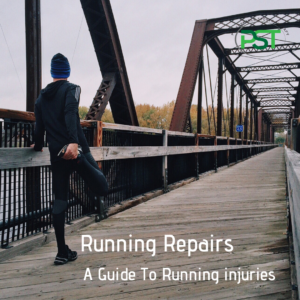 Unfortunately simply relying on pain as an indicator of injury isn’t very reliable. We can get pain where there is no injury, classic chronic pain cases, and no pain where there is very real injury but because of the circumstances the brain chooses to ignore it, sports men injured during games will often play on without realising they have a reasonably serious injury. Previous PostPrevious Where does the use of tape and other modalities fit into treatment and injury prevention?